Standard room for two people. 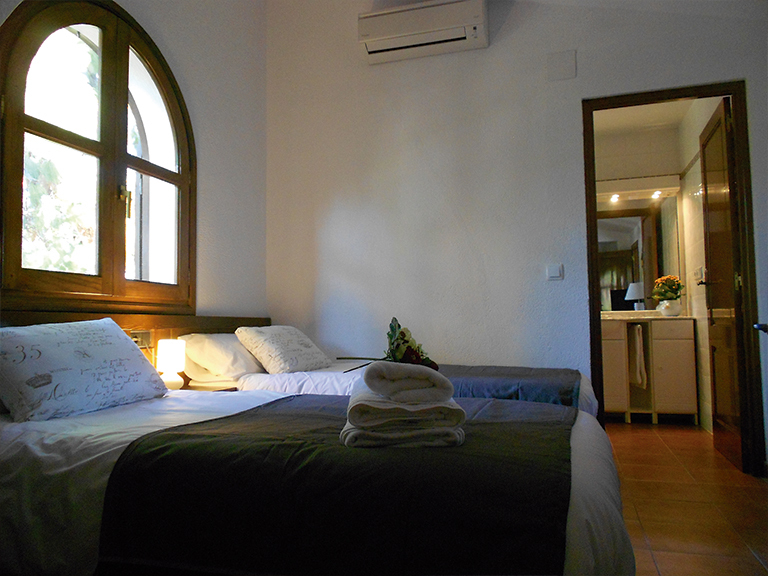 Located on the ground floor, with a 150 cm bed. and a luxurious period bathroom prepared wheelchair access. 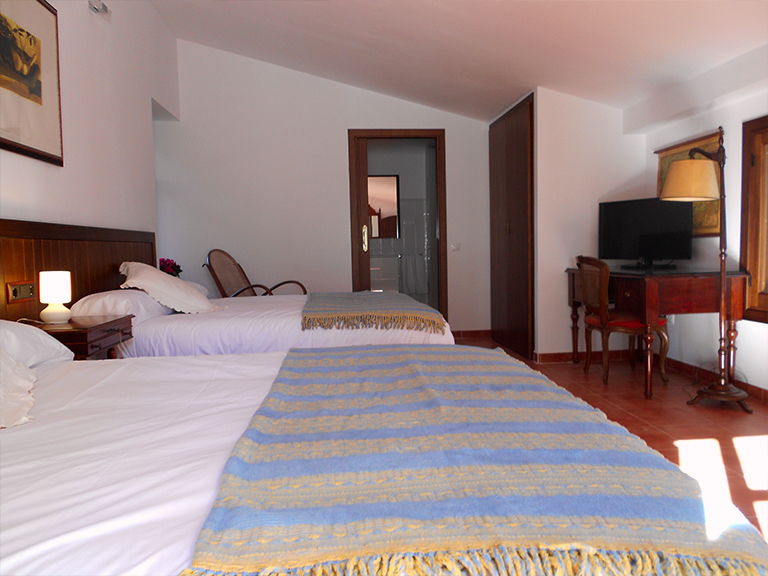 Two-roomed suite for 2-3 people. 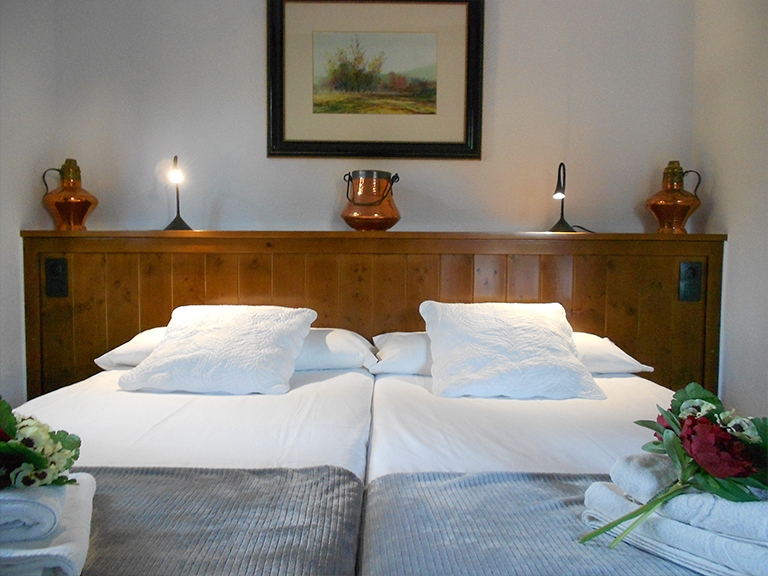 Located on the first floor, with a king size bed in the main room and a single bed in the other room, as well as a cosy sitting room, terrace and balcony. 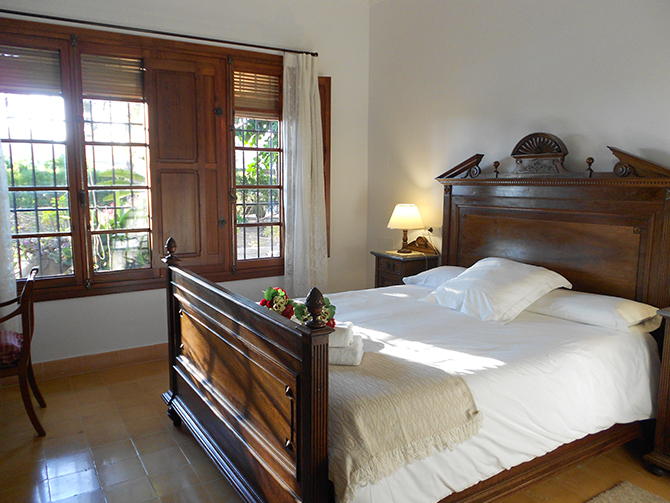 Superior double room with double bed, terrace facing the sea breeze and stunning views of the pine grove and garden. 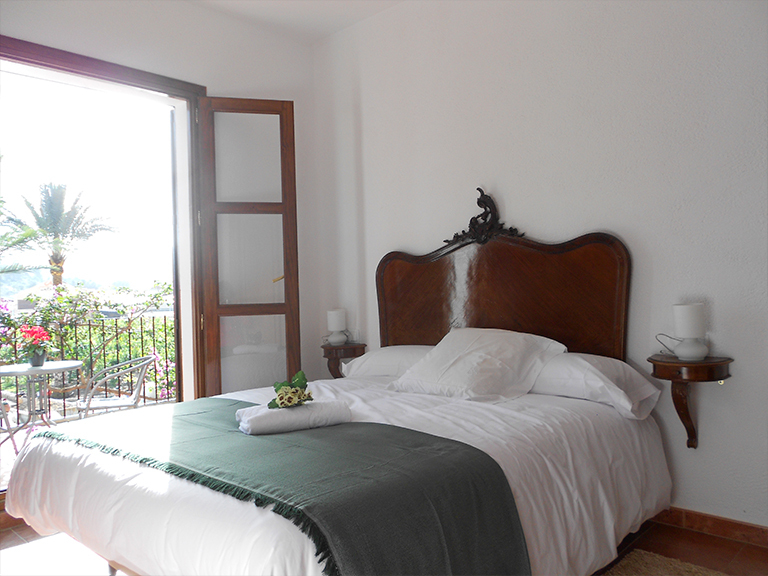 Double suite Two double rooms One with a 150 cm bed and the other with two 90 cm beds, plus a large bathroom and a large terrace with mountain views. Its structure is ideal for families. 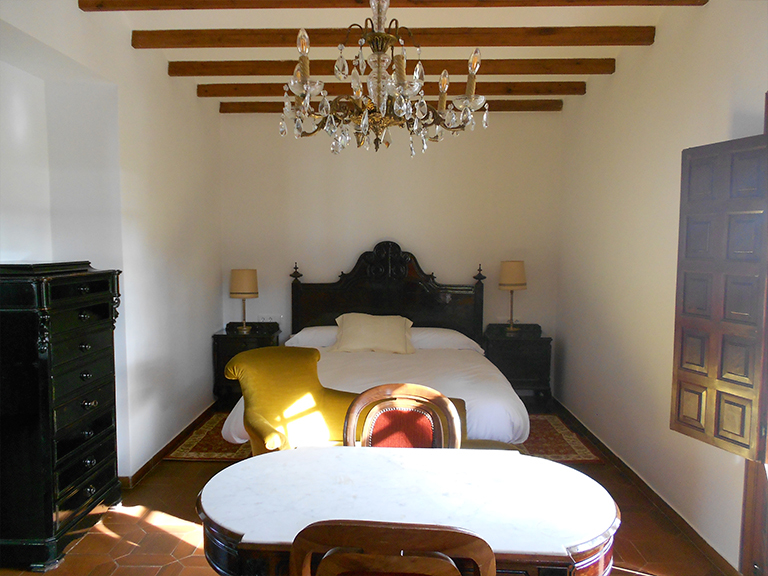 Spacious suite with two double beds. Its name reflects the multitude of objects and pieces of furniture that used to be kept up there back when this attic room was a storeroom.